Thank you. A ReachBase representative will contact you shortly. Data’s become an incredibly valuable resource. Businesses that capitalize on that value by making their information available through a list manager are an outstanding way to grow your own organization. Not every list rental opportunity is created equal, though, and not every business that acquires a new list will achieve success with it. To make the most of the opportunities a new business mailing list opens for you, you need to learn more about the leads you’re contacting. A new mailing or email list is more than an introduction to new leads; it’s also a chance to build an engaged audience that can teach you more about your own prospects. List-based marketing may not be new, but the technology behind it and the lists it generates certainly are. In their earliest incarnation, marketing lists were assembled by hand for direct mail and contained little more information than a name and an address. 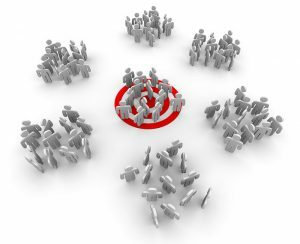 Thanks to database marketing technology, modern lists are more like a Who’s Who of decision-makers in a given industry, full of demographic, firmographic, and behavioral information about individual leads grouped into audience segments so you can address each prospect’s needs as effectively as possible. Prospecting from a database that’s been verified and enhanced for the most complete, accurate customer records is more than just a chance to establish contact. You know your new audience to an unprecedented degree even before you’ve introduced yourself, and knowing these details lets you align your message and their interests more closely than ever. With your in-house list along with those you get from a list management partner, you’re able to access some of marketing’s most exciting tools such as lookalike marketing, customer personas, affinity marketing, and search targeting. The difference-maker here is the quality of the new data that’s coming in, not only its quantity. The professionals in your audience are more than names and numbers; they’re people with whom you can begin to generate genuine rapport and develop them into an engaged, attuned audience. Prospecting is based on assumptions. When you ground your assumptions firmly in verifiable data about your leads, your conversion rates soar. Your marketing activities become less of a gamble and more of a science – one that’s supported with data and sound database management. Your knowledge of these leads through the marketing database from which your list was drawn is instrumental in assigning them to the appropriate nurture streams and retarget them effectively. Whether your goal is improving name recognition, expanding your existing market, or moving from a start-up to a mature, thriving business, data helps you accomplish it. With lead tracking and data enhancement to give you deep knowledge of your leads, you’re taking the next step and transitioning from business mailing lists to complete audience development. © Reach Marketing LLC 2016 All Rights Reserved.